So, you'd like to apply for an internship but you want to know what red flags to look out for, to make sure you're learning as much as possible, while trading a working wage for essential skills. If you need relevant work experience to go hand-in-hand with your study qualifications, you may be on the hunt for an internship to give you invaluable on-the-job training to increase your current employment prospects. An internship is when a person is hired by an organisation or business to undertake relevant work experience, usually unpaid, to meet requirements for a course or gain training in a particular industry. In 2015, Interns Australia conducted an annual survey on 503 Australians undertaking both paid and unpaid internships, citing that 37% of respondents completed at least one internship, 25% completed two internships and 28% completed three or more internships. Given the circumstances that most advertised internships are unpaid, it’s important that people are aware of the red flags and take off their rose-coloured glasses when they start working as an intern. First of all, what benefits can I gain in an internship? People who are in the creative fields, especially those in graphic design, journalism and marketing need relevant experience to be able to break into these industries, which cannot be gained from a university degree or a diploma alone. 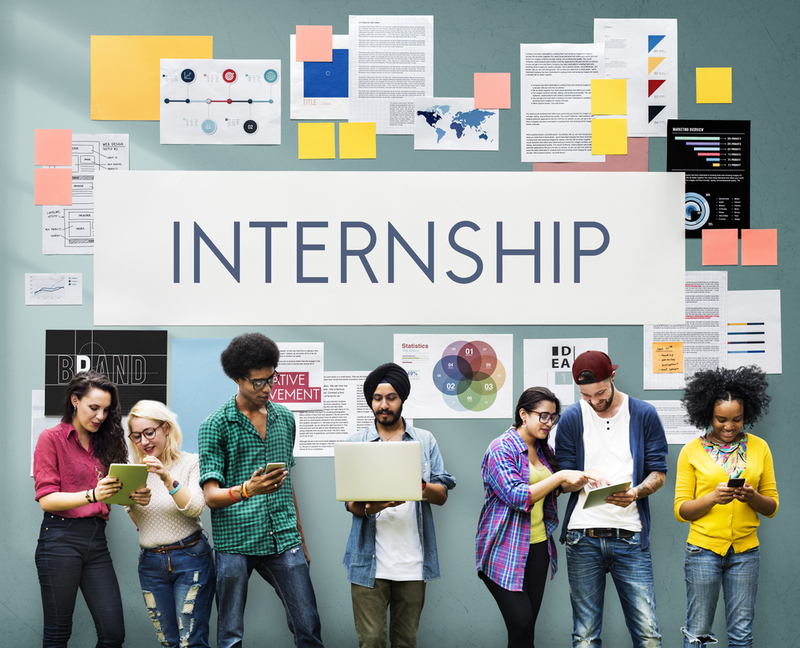 Internships are also a great pathway for people wanting to build their professional experience, even when their area of study doesn’t completely match what the internship opportunity offers. It makes job transitioning much easier since an intern has the benefit of landing a full-time gig after the completion of an unpaid or paid intern program, given that they have performed all the duties of an intern well. It gives people the opportunity to apply what they’ve learnt from what they have studied to real life work experience. It gives individuals confidence in the skills gained from an internship and using it as an example in a job interview to help secure full-time work. It provides an opportunity to meet new people and participate in networking, which could work to a person’s advantage if they are job seeking. Although internships offer multiple benefits to a person’s career, it’s important to look out for the red flags indicating that it may not meet the rules and regulations implemented by Fairwork on unpaid work and experience. Here are just some red flags worth paying attention to if you are undertaking an internship. One of the main purposes of an internship is to gain relevant skills and experience to the industry you want to break into. If you are doing menial tasks such as grabbing coffee orders for people in the office, basic administrative work or being assigned new responsibilities without proper guidance, you are not getting your time’s worth as an intern. An internship is an opportunity to learn from professionals who are already in the industry that provide you with relevant training to help you gain future employment. A workplace should feel like a supportive environment where you can learn important skills and receive feedback on your work progress. According to Career FAQs, due to the competitive nature of the job industry, more young people and graduates are putting their job search on hold in the field they want to work in and are turning to (mostly unpaid) internships instead to gain relevant work experience. Furthermore, a 2016 study mentioned that more young people were reducing hours of paid work to undertake unpaid work experience. A written piece from the ABC came to the conclusion that the internship culture was becoming mainstream with more young people facing financial hardships when undertaking unpaid work. Sydney Paed, who was one of the interview subjects for the article, mentioned that she was looking for a head start in her career in journalism and applied for a Sydney-based newspaper offering a 6-week unpaid full-time internship program. Despite having the support of Youth Allowance to cover her rent and transport bills, she still faced financial strain and struggled to cover costs for food. Internships are meant to be useful for your career progression, helping you gain industry-specific skills. If you are assigned responsibilities that require minimal training and feel that you are doing work of an entry-level employee, it’s likely you are. Fairwork mentions that any tasks assigned to a person in order to run the business smoothly should be paid minimum wage and not do it for free labour. Fairwork Ombudsman Unpaid Work factsheet* gives examples on situations where unpaid work is within the legal requirements and ones that aren’t. A local council has advertised an internship program for high school or university students interested in government processes. The internships have been advertised as unpaid positions and students are allowed to select the hours they spend at the council office over a two week period. The council is careful to ensure that the role is mainly observational and there is no expectation that the students will perform productive work during their internship. The student is gaining the main benefit from the arrangement. It is unlikely that an employment relationship has been created in this case, and the internships are lawfully unpaid. A publishing company has advertised an internship program for recent graduates of copywriting and journalism university courses. The advertisement calls for applicants who are passionate about their career and who are looking for experience as a gateway to future employment opportunities. The company advises that it will recruit for the positions based on academic transcripts, work experience and references. The positions are unpaid, but the advertisement notes that the successful candidates will receive perks and networking opportunities throughout their internship. The positions are advertised for three months full-time, with the possibility of ongoing employment based on the candidate’s performance during the internship. The duties listed include general administration, event planning, and proof reading, with some opportunities for writing depending on performance. Despite the offer of non-monetary perks, work experience and networking opportunities, the company will receive the main benefit out of this relationship as it involves significant productive work to be performed by the interns for the company. It is likely that an employment relationship will be formed in this case, meaning that the internship should be paid. If you feel like you’ve been thrown in the deep end and not receiving the training you originally signed up for, your supervisor may not realise your worth as an intern. According to Junkee, internships are meant to provide you with real-world experience and that your supervisor responsible should check in and monitor your progress with the responsibilities they have assigned you with. If they simply expect you to undertake any task to do on your own, it’s likely that they have hired you as an intern to save company costs when really, it’s work that you’re meant to be paid for. Ideally, your supervisor should check in to see how you’re doing, providing feedback where necessary and be approachable no matter how busy they seem. According to an article piece from Mashable, colleagues and supervisors who are willing to pass on wisdom and share their expertise with you is a good sign that your internship is going well. When they give you the time to share from their own experiences and the guidance you need when undertaking tasks as part of your internship, it shows that they genuinely care about your experience as an intern. Not happy with your internship? Upskilled offers many courses that can help you feel job-ready in no time. For example, some of the Community Services courses offered through Upskilled need students to undertake some work placement. However, it is possible that work placement can be arranged through your current employer or organised through your existing networks, ensuring that the workplace is in Australia and the placement has been approved by Upskilled. More information about the work placement guarantee can be found here. If you’re not too sure what industry you want to work in, browse through our job roles page and see what course you need to complete to help secure your dream job. While internships are handy to have on your resume, remember to look out for the red flags above to avoid doing an internship that does not benefit your career. It is easy to feel misguided sometimes, especially when an internship is offered through a company of your dreams. Put yourself first and know your worth as an intern.